Foshan Blue Ocean Imp & Exp Co., Ltd.
: Items: Wood look porcelain Tiles, ceramic tile look like wood, old boat wood floor tile. But Ebro's porcelain tile woods look like the real wood very closely, including the color, texture, friction rate and so on. 3. What is porcelain tiles9 Porcelain belongs to ceramic, but porcelain is much lower water absorption, less than 0.3%. 2. OEM acceptable: We can make your brand on the package or on the tiles. 4. Rich experience in exporting to make your order more smooth. If our tiles are of interest to you,welcome to send me your requirements. Zhangjiagang Kailida Plastic Co., Ltd. It is a combination of manufacture, forestry and IT industry, running the business with the idea of creative and eco-protective, supporting the manufacture with forestry and IT to achieve eco-friendly, energy-saving and zero pollution. Ensure the long term competitiveness and sustainability of the company through scientific research, innovation, and design and information technology. NICELLE gets together international thin porcelain tile experts and top oriental architects, using the latest and innovative special technology to produce 5.5mm thin porcelain tile with European standard in sizes following: 300x600mm,400x800mm,600x900mm,600x1200mm,900x1800mm; which has become a shinning new star in present eco-protective time. 2. No building work needed. 3. No tools needed. 4. No skill needed. Fujian Jinjiang Meisheng Building Materials Co., Ltd.
15x90cm glazed wood look bright surface ceramic floor tile Packing details Size pcs/ctn sqm/ctn weight/ctn pcs/m 2 ctn/ctnr sqm/ctnr 15&times;90cm 8 1.08 25 7.41 1080 1166.4 Product show Our showroom Our factory Our warehouse Our Fair : Q: When can you deliver the goods9 A: If stock available, we can deliver goods within 5 to 7days. If no stock, that would be 20 to 30 days after receiving the deposit. Q: How about your payment terms9 A: Our payment terms is by T/T, 30% as deposit, balance by T/T or L/C before shipment. Foshan JingChen Technology Co., Ltd.
Top and bottom layer together make the flooring more tensile and hard to break. 3.The product has a flame-retardant function and does not ignite on its own. If you have any questions about the problem, contact with us, we will offer the solve way for you. 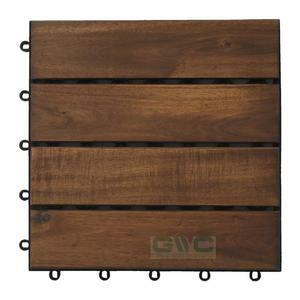 Alibaba.com offers 18,197 wood design floor tiles products. About 19% of these are plastic flooring, 18% are tiles, and 8% are mosaics. A wide variety of wood design floor tiles options are available to you, such as glazed tiles, simple color, and polished tiles. You can also choose from pvc, porcelain tiles, and ceramic tiles. As well as from interior tiles, indoor, and floor. And whether wood design floor tiles is free samples, or paid samples. 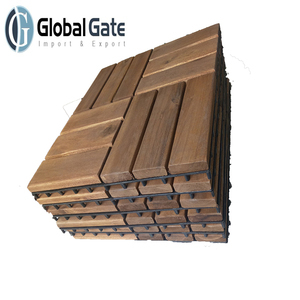 There are 18,241 wood design floor tiles suppliers, mainly located in Asia. The top supplying countries are China (Mainland), India, and Vietnam, which supply 94%, 4%, and 1% of wood design floor tiles respectively. Wood design floor tiles products are most popular in North America, Mid East, and South America. You can ensure product safety by selecting from certified suppliers, including 3,363 with ISO9001, 1,600 with Other, and 1,167 with ISO14001 certification.